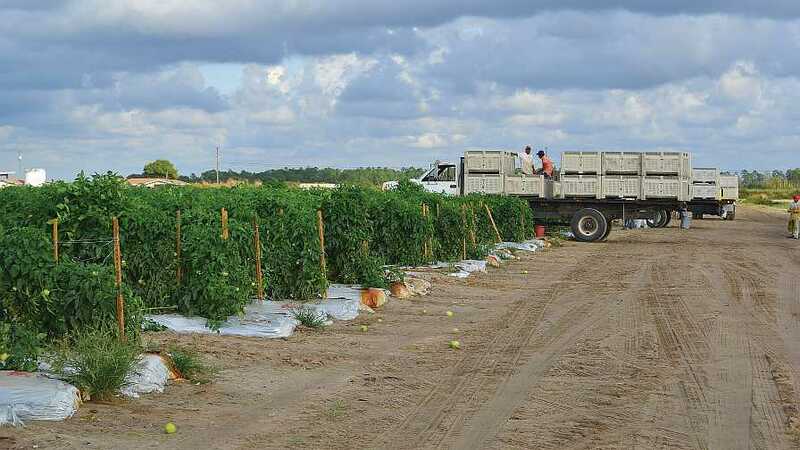 For several years, Florida reigned as the nation’s top user of the H-2A visa program for sourcing labor. 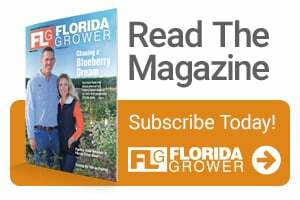 It has been a favorite of the state’s citrus growers for years with tomato, strawberry, blueberry, and other growers now tapping into the program. With finding labor becoming more difficult, and the consequences of mandatory E-Verify in some states, the visa program has boomed across the country, displacing Florida from the top spot. In fiscal year 2018, Georgia was the top H-2A user in the country with 32,364 certified positions. The state passed mandatory E-Verify in 2011, which meant the end of the traditional flow of migrant workers from Florida into Georgia. Thus, Georgia growers’ only reliable labor source became H-2A. Other states are rapidly increasing their H-2A workforce, including Washington, North Carolina, and California. Kerry Scott, Program Manager for labor placement firm másLabor, says the program is desirable despite its regulatory red tape and costs. Scott says the process can be eased with the help of a firm like másLabor or through an immigration attorney who knows the ropes and how to manage the program more efficiently. Working in advance to anticipate your labor needs will be an important first step in preparing for the H-2A process. Scott likes to use a T-minus countdown for important milestones in securing visas. The H-2A statute notes applications for visas cannot be filed more than 75 days out of need and not less than 60 days. While the applications can still be filed within 60 days of need, growers can expect a delay of approximately two days for every day past T-60 for workers to arrive. Because of this, growers need to know what their needs are going to be well before the T-75 day window starts. Scott recommends their customers know what their needs will be and begin the process 90 days in advance of needed arrival on the farm. He adds that his company offers a discount to growers who can begin the process 120 days out. When trying to determine the number of H-2A workers needed on the farm, particularly for harvesting, Scott says their work ethic and efficiency should be taken into consideration. 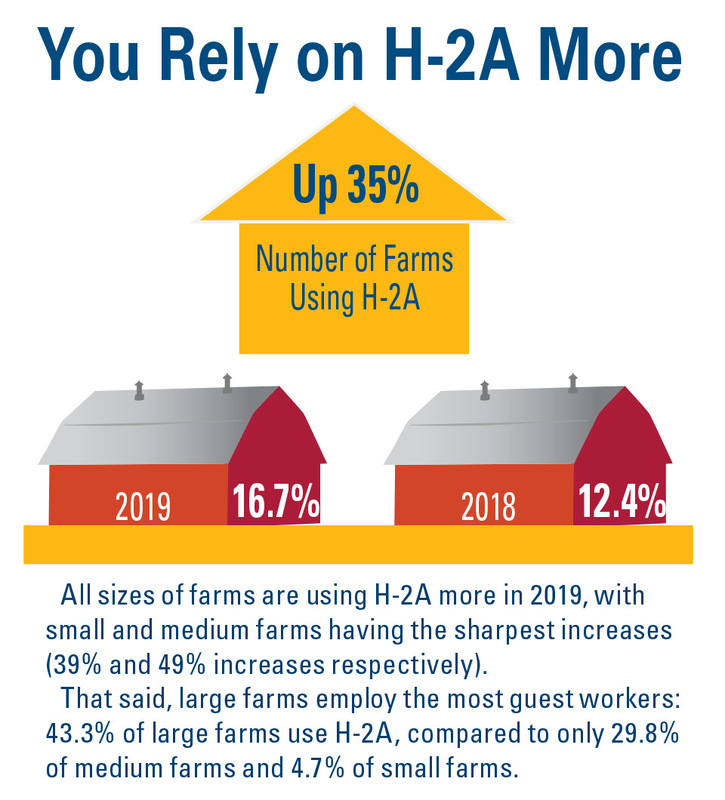 Responses from American Vegetable Grower‘s 2019 State of the Vegetable Industry survey correspond with industry trends regarding H-2A labor usage. For first-time program users, providing housing for the H-2A workers can be one of the bigger challenges. 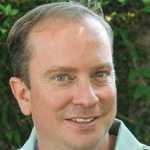 There are checklists available that growers can use to vet and get structures into compliance. Scott advises that available beds equal visas. Housing will need to be ready for inspection within 45 days and not less than 30 days of the anticipated date of arrival of workers. When OSHA was given authority to regulate housing, the standard was enlisted military barracks of the time (circa 1986). It would be a structure with long rows of bunk beds and foot lockers with a kitchen on one end and bathroom on the other. Today, house trailers and old farmhouses can fit the bill. Just be mindful of the checklist, Scott says. Scott says there are ways to improve the program in the future, both legislatively and from a regulatory standpoint. One of the biggest needs is making H-2A available to other sectors that need it desperately, like the dairy industry. He said growers should not worry that opening the program up would mean it would run out of workers.